This is it, ROUNDERS POKER, Los Angeles' Home Poker Games! 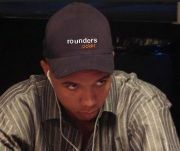 Join Rounders Poker the largest amateur poker players group in California! Rounders Poker is a non-profit social networking group. All our home games are PRIVATE and operate under the direct and sole discretion of each individual host who determines who can and cannot attend their games. Our website is a listing service for private home games, free membership is for the website ONLY and does NOT guarantee entrance to all games. In other words, we are not casinos and we are not "poker players", we are private citizens and ordinary people who enjoy playing friendly card games together. Access to our private home games is only provided to persons who demonstrate they can get along with others in a social setting. Browse our Calendar with MORE home games than any L.A. poker meetup. Check our website often, games are added almost daily. Share your love for the game and get live game experience and make new friends in our low stakes home games. We play for fun, recreation, and friendship. Our poker games have all skill levels beginner, intermediate, and advanced. No matter what your skill level improve your poker skills in our casual and relaxed home games. Courtesy Miramax Films - 1998 - Rounders, the movie.